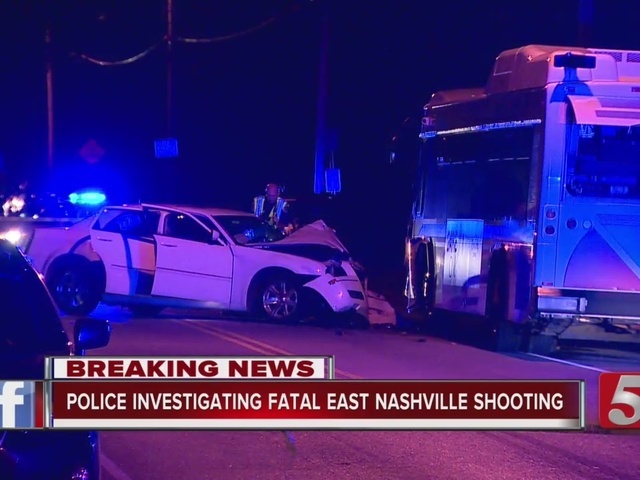 A man died from injuries sustained during a shootout in East Nashville, which ultimately led to a crash with an MTA bus in east Nashville. The call came in around 5 p.m. Tuesday from 1707 Shelby Avenue near Shelby Park in East Nashville. Officials with Metro Nashville Police said Mark T. Matlock and Angel Pendred met another man and woman in separate vehicles at the tennis courts near the Shelby Park entrance of S. 20th and Shelby. Police said the shooting was the result of a botched robbery involving heroin. At some point, a gunfight occurred between two couples at the park. Police said everyone got out of the car, with Pendred taking cover behind a nearby vehicle. The suspects got back into their car and sped away. Matlock was hit several times, but got back into the driver's seat with Pendred in the backseat. 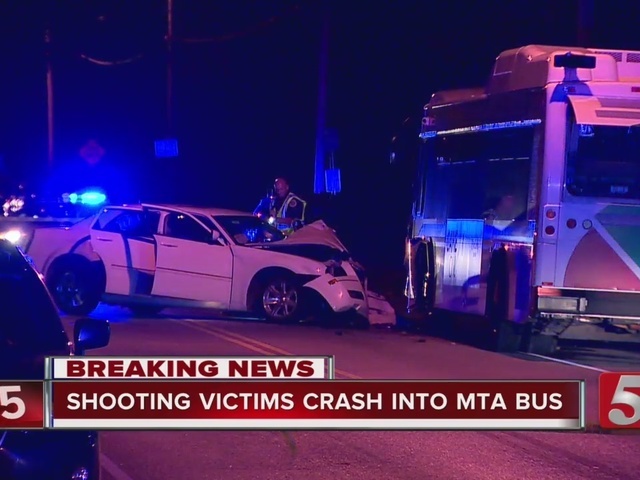 He drove away from the scene and made it down to the 1700 block of Shelby where they crashed into a MTA bus that had pulled over near the sidewalk. Both were transported to Vanderbilt University Medical Center, where Matlock later died from his injuries. No one on the bus was injured. The two suspects were named as 22-year-old Crystal Taylor and 26-year-old James Bratchie who were arrested Wednesday.